I was very satisfied with the work done on my INFINITI vehicle. 4 stars because the transportation services was not able to pick me back up 3hrs after my vehicle was done. First contact with Jacob Gaberman in the service department. Pleasant enough, efficient and as timely as possible. Thankful he took the time and was patient enough to explain the process to me. 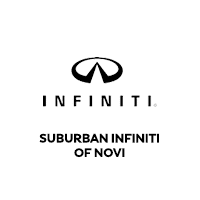 I would absolutely recommend INFINITI Novi Service Department AND Jacob Gaberman as their representative. Ken Trimiew was our sales guy at Suburban INFINITI of Novi.He is one of a kind. Ken has an abundance of patience. We are not the easiest to work with when it comes to buying a vehicle. We changed our game several times and he never showed any frustrations. He made our visits very pleasant each time. So folk if you are in the market or looking to purchase a vehicle Ken Trimiew is your guy hard working , honest and a man of his word. He will work work hard for you to get the job done. We love Ken. We cant say enough about him. Excellent service and experience. This was first time I was taking my vehicle for service. I was expecting to have to pay more for my oil change and tire check since I was doing it at the dealership, but I still wanted to do the first one there. To my surprise they had a deal for 3 oil changes, tire rotation and car wash for $139 total. I left my vehicle there and ran some errands and came back it looked brand new inside and out with the oil changed and tires rotated. Jacob was the service person I dealt with and he was a professional and a joy to deal with. Professional staff, along with technicians knowledge exceeded my expectations. I plan to continue bringing my vehicle here for service. In addition to that, there’s a very accommodating waiting area.